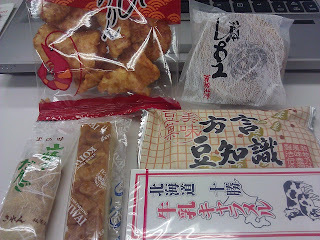 The best thing about the week after the Obon summer break is everyone comes back with souvenirs. In Japan, that means goodies like these. 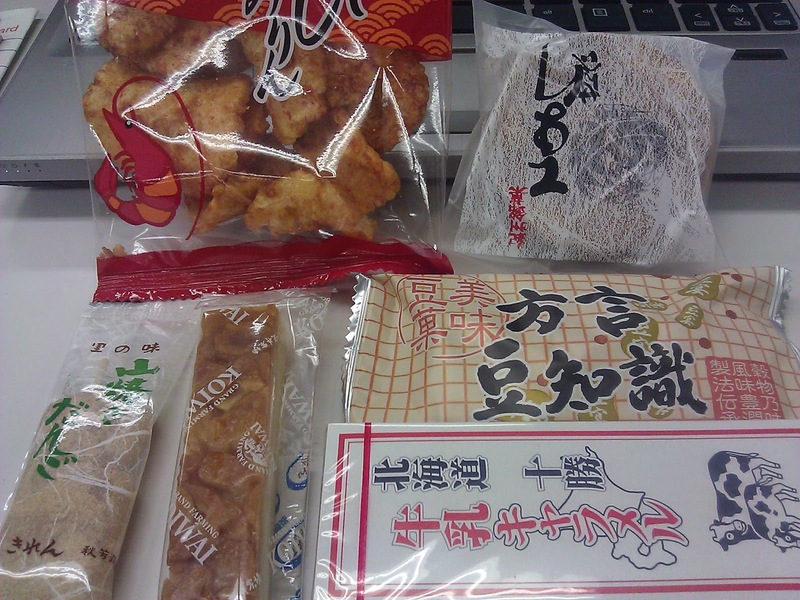 Snacks and confectionery from different parts of Japan, all the way from Hokkaido to Okinawa. I was not that excited to be back at work because I didn't get to have my Obon break. However, looking at my payslip today brought a little cheer. I had not realised that on top of the replacement leaves, the company was obliged to pay us for the overtime hours worked during the holidays. Personally I think no amount of overtime allowance can make up for lost hours and time away, but I'm gratefully nevertheless.